In the modern world, fragrance is quite a crucial thing that every man should consider thoughtfully if they want to appear well and confident, as well as to leave a good, memorable impression on others. You certainly want to smell good when going out with your girlfriend. As for now, there are two fragrance products often become the ultimate choice of many gentlemen: Creed Aventus and Bleu De Chanel. Which is the one that should be your choice of scent? Creed has become one of the best fragrance houses in the world. The company has crafted a number of perfumes, and, Aventus is one that is worth every penny. Creed Aventus has such a unique and distinctive smell, combining the freshness of apple, currants, and pineapple with smoky jasmine and vanilla. On the other hand, Bleu De Chanel is a very versatile fragrance that smells about luxury and elegance. It primarily smells of peppermint, sandalwood, and incense, with a touch of citrus and vetiver. 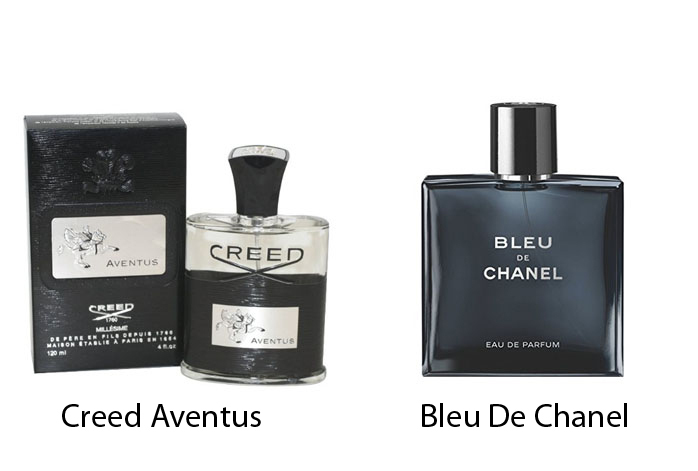 As you can see, Creed Aventus and Bleu De Chanel smell very differently from each other. Creed Aventus is perhaps more suitable for informal events and casual nights out, because, do you really want to smell like an expensive smoky pineapple with your superiors in the meeting room? On the other hand, Bleu De Chanel is great for formal occasions, but it is also fine for casual. Though, Bleu De Chanel indeed has less sillage than Creed Aventus. Another thing to note is that Creed Aventus is somehow inconsistent. The smell may vary a little bit in different bottles, either being slightly smokier or more leathery. Meanwhile, Bleu De Chanel is more consistent across different bottles. One drawback on Bleu De Chanel, though, is that it has become extremely popular. Perhaps one of the reasons for its popularity is its more affordable price. It is quite significantly more affordable than Creed Aventus. Hence, if you want to press down the chance of running into another guy wearing the same frag as yours, then Creed Aventus is the way. As the conclusion, Bleu De Chanel should be your choice if you want something that is versatile and reliable for both formal and informal functions. On the other hand, Creed Aventus is the weapon for casual occasions (you may try wearing it for formal events, too, if you are quite confident and perhaps a little bit eccentric).